THIS TOUR IS OPEN TO GMA MEMBERS & MANUFACTURERS ONLY! This facility is the only Kia manufacturing plant in the United States, and the only automaker in Georgia. With an annual capacity of more than 360,000 vehicles, Kia Motors Manufacturing of Georgia (KMMG) is home of the Telluride, Sorento CUV and Optima midsize sedan, some of the brand’s top selling models in the United States. This advanced manufacturing facility represents a $1.1 billion investment on a 2,200 acre site and employs over 2,700 full time employees. KMMG has produced more than 2.6 million vehicles since they began mass production in November 2009. 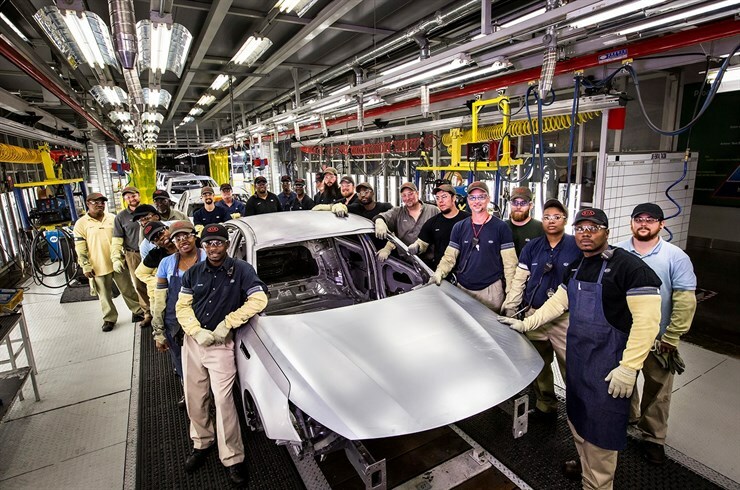 Tour attendees will see the entire manufacturing process for the Kia Sorento and Kia Optima -- from rolled metal all the way to the finished product using high tech stamping, weld shop advanced robotics, and highly automated assembly processes to produce the finished vehicle. They produce a vehicle every 57 seconds utilizing three full shifts operating at the plant 24 hours a day/five days per week. • All visitors must have on long pants and enclosed toe shoes. Anyone who does not comply will likely not be able to participate in the tour. • Please take note of weather conditions on the day of the tour. While we do anticipate this tour being conducted on golf carts and most of it will be inside, there will be a portion that is outside and you may want to dress with that thought in mind (rain coat, etc. ).